Nick T. Arnold began the store in 1902 in downtown Owensboro. We started with one showcase in the Kimball piano store where the Masonic Temple building now stands in Downtown Owensboro, KY. After about ten years the store expanded and moved into an independent building on St. Ann Street. James T. Arnold, Sr. attended the Elgin Watchmaking School and came into the business in 1935. He was the first graduate watchmaker in the area and married Prince O'Flynn and they worked in the store until the 1960's. During James T. Arnold's time the inventory was greatly expanded. He also bought the building on St. Ann Street which housed the jewelry store until July 1997. 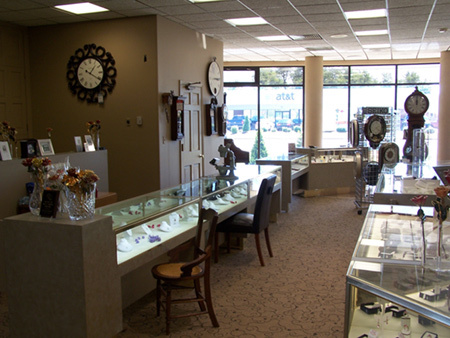 Al & Judy Arnold joined the business in 1965 after having attended Gem City Horological College and directed the business more toward jewelry and clock repair, while keeping up the watch repair and other traditions of the previous two generations before them. They have two daughters. Candy Arnold Oakes who, along with her husband Michael Oakes, are the current owners and Cynthia Arnold who is a psychologist at New Leaves Clinic which she established in Oregon. During this time the business was moved from downtown to the bank building on Frederica Street where it is today. 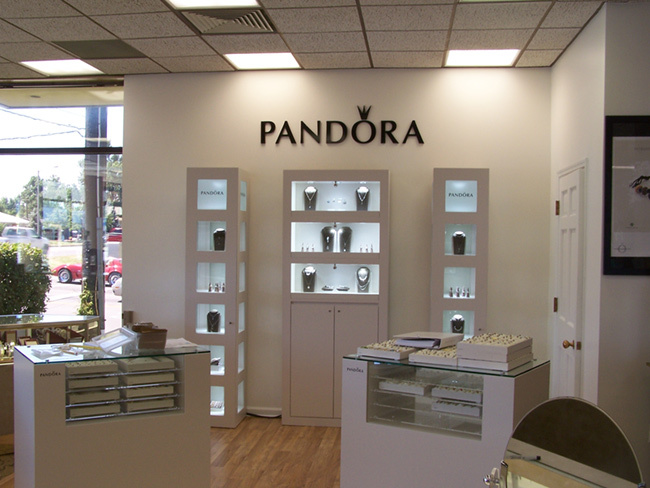 Candy and Michael Oakes are fourth generation owners of the jewelry store. Candy graduated from Transylvania University in Lexington, Kentucky and Michael is a graduate of the Gem City College. Mike gave the store the direction of the electronic watches and computerized time keeping systems as well as becoming a G.I.A. Certified Diamond Grading Graduate, Bench Jeweler, Watchmaker and Clockmaker. Mike is also an active member of the American Watchmakers and Clockmakers Institute. Candy added the internet component along with her jewelry design and jewelry bench skills. Mike's mom, Gail, joined Nick T. Arnold Jewelers in May 2002 and is a wonderful person to help you choose that perfect gift. She has attended several of the International Jeweler's Organization training and buying conferences and stays abreast of all the current trends in jewelry styles. Gail is an invaluable member of our staff.